Our Medway Queen - West Group attends a variety of events and puts on displays at other sites to promote and raise funds for Medway Queen. 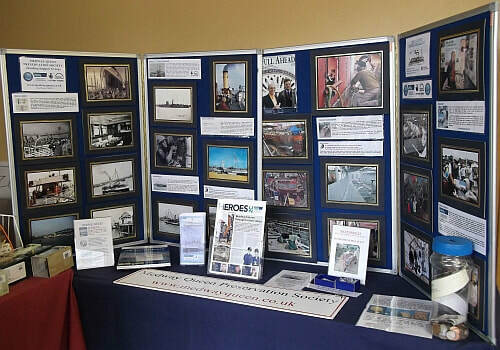 The stand is sometimes combined with larger PR displays or a model railway (below left). These events are organised by external organisations, not by ourselves, and we can take no responsibility for any changes to the arrangements announced.